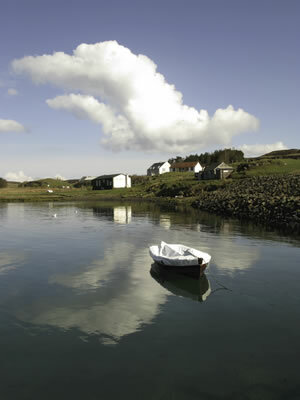 When you arrive on Eigg there are a great number of activities to make your holiday a memorable experience. Walking from Laig bay to the Singing Sands at low tide, you will discover an amazing array of pools and geological formations. 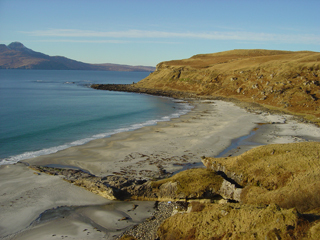 The shores of Eigg are teeming with wildlife, and it is common to see otters between Laig and the Singing Sands. The Singing Sands are only about twenty minutes from the house. If you sail to Muck or Rum on the Sheerwater, porpoises, whales and dolphin sightings are a regular occurrence. 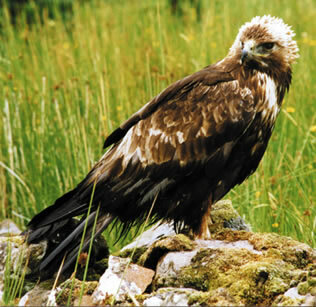 There are over 120 species of birds on the island and you may well see a Golden Eagle (there are two resident pairs) and white-tailed eagles are regularly sighted. Hen Harriers hunt over the reed beds in front of the house. John Chester, the retired Scottish Wildlife Trust warden on Eigg, has written a 52-page booket covering the island bird list. 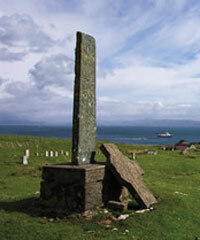 The book is available from the Isle of Eigg Craft Shop, along with many other books and leaflets about Eigg. 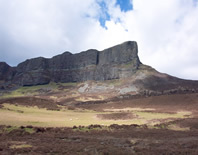 Eigg has a long and varied history, with Norse raiders, Irish missionaries and Clanranald chiefs leaving their mark on the island down the centuries. The first human habitation has been traced back to the Bronze age. A colour leaflet about the main archaeological sites produced by the Royal Commission on the Ancient and Historical Monuments of Scotland is available in the island's craft shop. Camille Dressler Eigg, the Story of an Island (2007) and Susanna Wade Martins Eigg, an Island Landscape (2004). There is also a very fine ‘coffee table' book covering all the Small Isles, with a substantial section on Eigg, by John Hunter, The Small Isles (2016). Copies of all three are kept in the house. 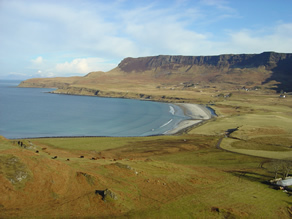 Eigg is 3049 hectares and is the second largest of the Small Isles. One of the great benefits of studying the botany of Eigg is the tremendous variety of habitats that it offers: peat bogs, sandy machair, moorland and much more. 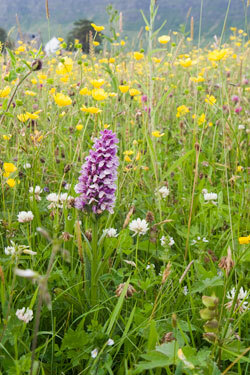 Across this varied landscape, Eigg displays a wonderful array of wild flowers, sedges, grasses and heathers. As you arrive on Eigg in the spring and early summer you will discover an amazing carpet of wild garlic as you first drive up the Pier Hill en-route to the Top House. 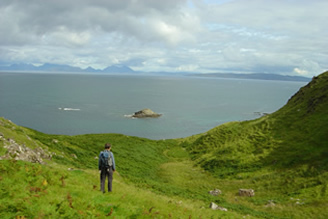 Eigg has a number of mature woods which offer the rambler a wonderful experience. Wild mushrooms are always a bonus for breakfast. Visitors can travel to Muck and Rum on day trips on the Sheerwater. The other islands offer something quite different from Eigg. 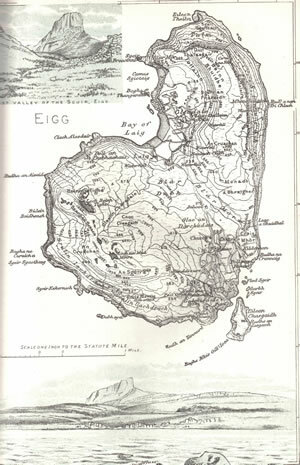 Rum is the largest of the Small Isles, with an area of 10,463 hectares. The island's red deer herd feature in the BBC programme Autumn Watch. A tour of the late Victorian Kinloch Castle is also a must. 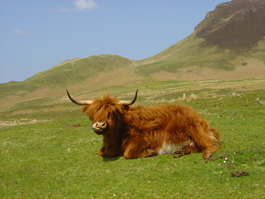 Have a look at The Isle of Rum Website for a full history.